With the loss of nearly half of all marine life in the last 40 years, we are in a crucial time period for the preservation of ocean-dwelling species and building ecological resilience along our coasts. 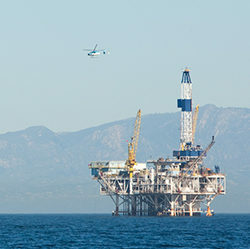 In the Santa Barbara Channel, resource harvesting, oil extraction, and marine shipping contribute to diminished resilience of the coastal zone. Marine protected areas (MPAs) are powerful tools for reversing these adverse effects and have been designated in the region for the purpose of increasing resilience, restoring biodiversity, enhancing recreational opportunities, and preserving both economic and cultural resources for future generations. 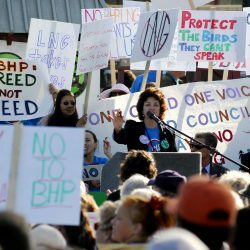 The “Most Destructive Oil Drilling Plan” Yet! Donald Trump clearly enjoys his superlatives. He proclaimed himself to be “the greatest jobs president that God ever created,” he lauded his hiring of the “best people,” having “the best words,” getting “the biggest crowds,” and so on. It was no surprise, then, when President Trump and Interior Secretary Ryan Zinke proposed a new Draft Five Year Outer Continental Shelf Oil and Gas Leasing Program pushing for the “largest number of (oil) lease sales in U.S. History.” In fairness to this terrifying description, if the Administration succeeds with their plan as introduced, they would indeed open more than 90% of our coast to new offshore drilling! Forty-eight years ago today, on the morning of January 28, 1969, five miles offshore Summerland at Oil Platform A, something went terribly wrong: the well blew out. 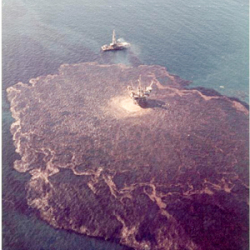 As oil began seeping up from the bottom of the ocean floor, so began one of the largest environmental disasters in U.S. history. 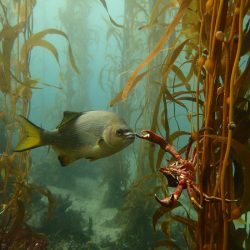 Good news has come after 10 years of monitoring the protected waters around the Santa Barbara Channel Islands. The health of the ecosystem is improving, and although there will still be challenges ahead, the long term outlook is very hopeful.